I was recently given the chance to review some modern, contemporary wall stickers from The Binary Box and thought it was a great opportunity to film us applying them. Wall stickers are a fantastic, stylish way to add decor to a room and they really are straight forward to apply. 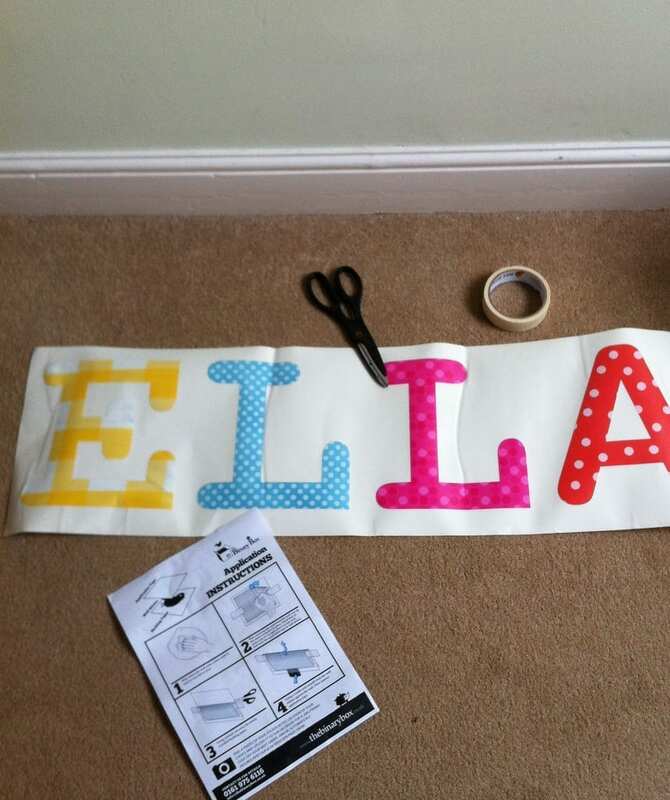 We chose the Birdcages wall decor for Miss R’s room and for Miss E, her name. The Binary Box delivered them in good time and they came very well packaged. 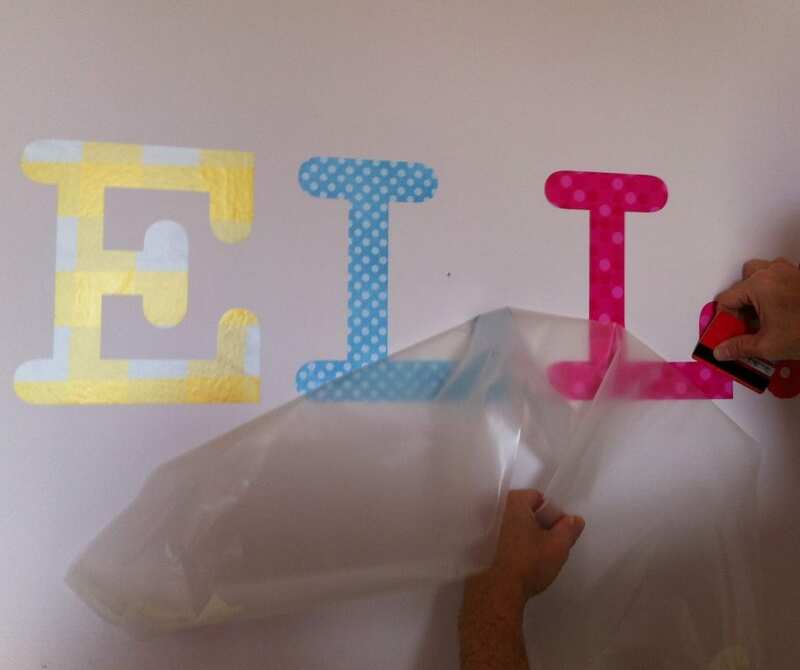 The film shows us applying the Birdcage stickers in several stages……..
For Miss E’s room we chose the letters of her name and were really surprised at their size; they are much larger than I imagined they would be. All of our bits and pieces assembled ready to begin. 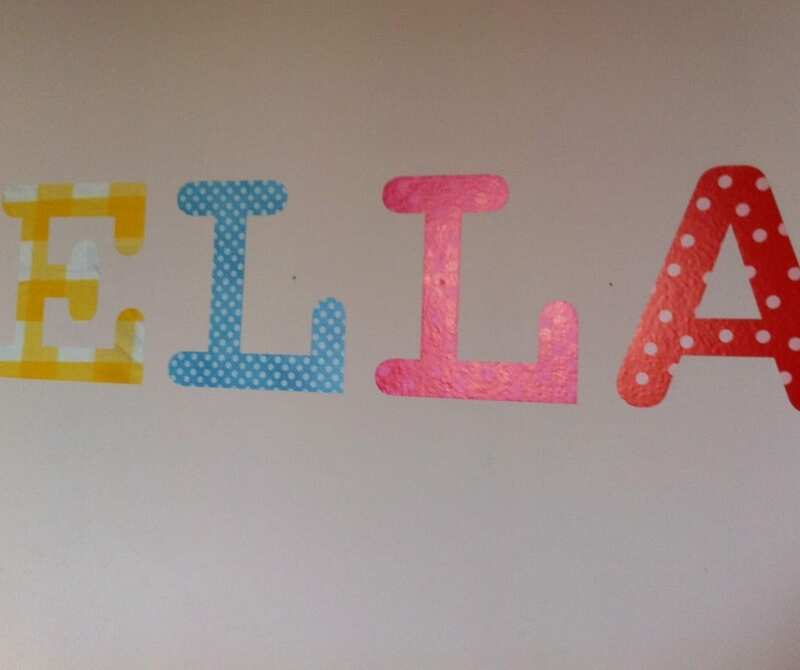 So, what did we think of these Wall Stickers? Well, we were really impressed. Firstly with the design and styling of our chosen decals. They have both lovely colours and are very good quality. The instructions could have been a little more substantial to be honest. 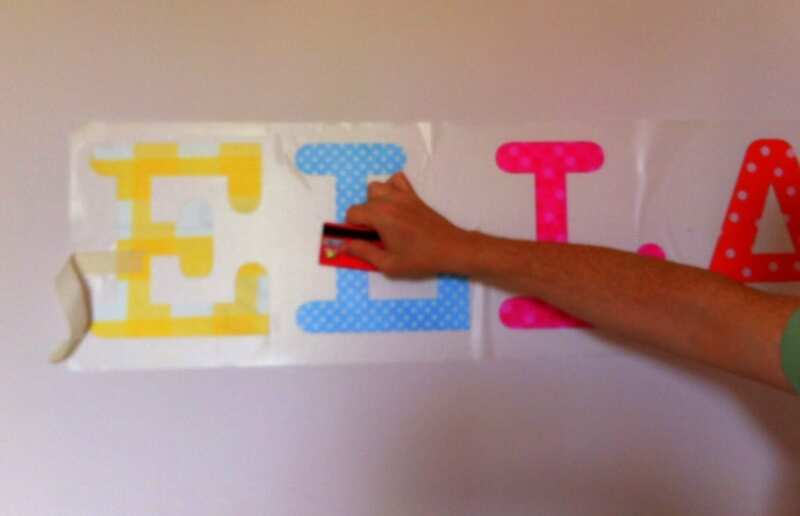 We’ve applied wall stickers before and know how to deal with them but for a first go you might need a little more instruction. But overall we would rate these very highly. Disclosure: The wall stickers were given free of charge by The Binary Box in exchange for a review on the blog. The opinions are genuine, honest and my own. Previous Post Holidays: What makes a good Holiday Property? Absolutely loved the Vlog! Great idea, would love to try those stickers now you have taken the ‘mystery’ out of applying them!! Thanks Amanda, glad you liked the vlog. I’m inpsired to do more of these, think reviews on film for my kind of interiors would look good. Great vlog! How cool are the stickers? Just like Amanda I feel you’ve taking the mystery and fear out of this job, I am lazy and would fail to read the instructions and they’d look wonky. Seriously Jen this is an awesome first vlog, I predict a future presenting TV DIY shows. Yes I can see it now, me and my own DIY show!! The stickers are great aren’t they and I had a good afternoon putting them up and making the film. I’m inspired to do more interiors reviews on video now. Thanks Penny! Those are gorgeous. I am trying to drag myself into motion to decorate the Bug’s room (it is still pink from when we moved in and he was a baby!) so I’ll head over there for some inspiration!